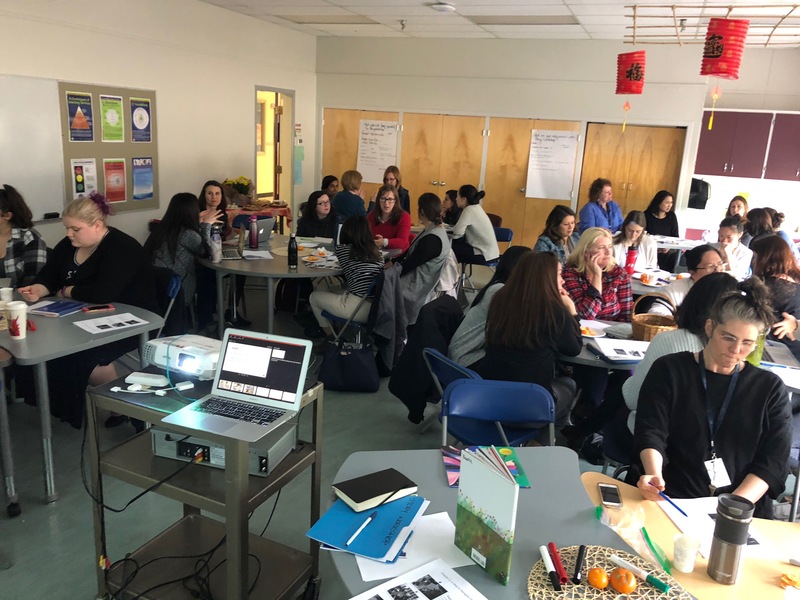 A group of district teacher consultants and school-based teachers came together this spring to facilitate a three-part Story Workshop after school series. 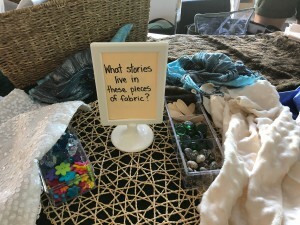 This was in response to many requests and questions from teachers in our district about Story Workshop. The facilitators of the series were: Sharon Baatz, Louesa Byrne, Michelle Hikida, Carrie Bourne, Lisa Schwartz, Marie Thom and myself. 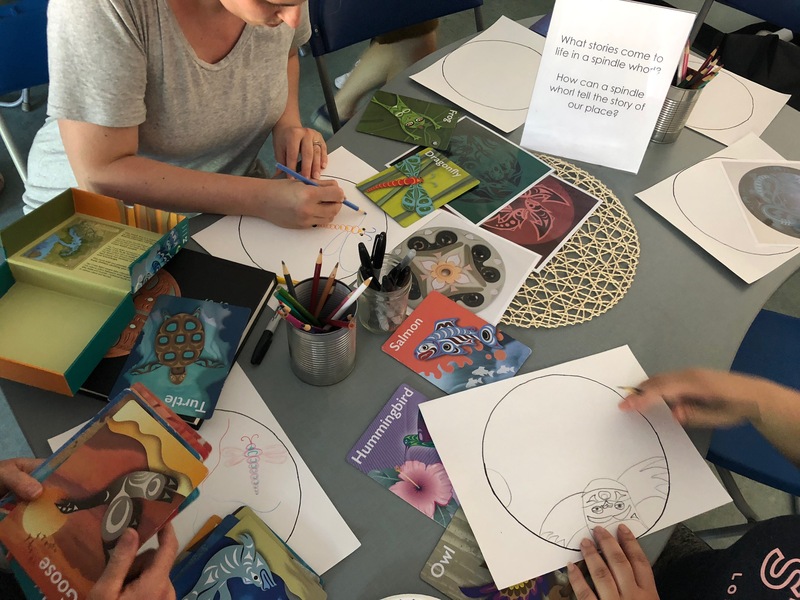 A goal of this series was to honour the work of Opal School educators who developed the structures and practices of Story Workshop as a way to connect the arts and literacy. Opal School educators draw upon social-constructivist learning theory and have been informed by the early childhood educators in Reggio Emilia, Italy as well as American educators such as those working with Harvard’s Project Zero initiatives. Opal School has a deep commitment to equity and access for all students and to develop student agency. They are many other ways we might engage our students in storytelling experiences – oral, digital, writers workshop etc but the focus of this series was to create awareness and understanding of Story Workshop as developed by Opal educators. The Opal educators have developed five structures or stages of Story Workshop. Some stages are more for the educator to consider and some take more time than other stages. Some of the structures such as negotiation or congress might involve small groups of students and an educator instead of the whole class. Over the series, we hope to develop a deeper understanding of the process of Story Workshop and what it offers the students in our classrooms and what it offers us as educators. 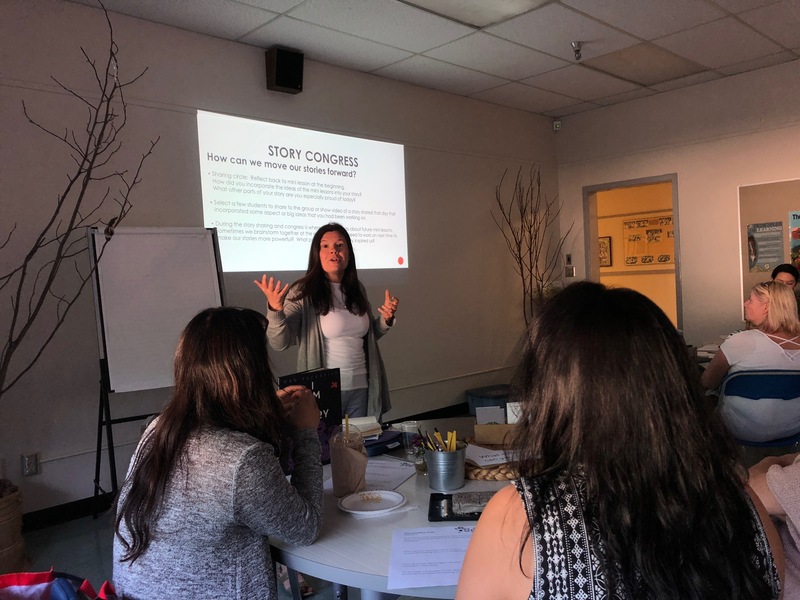 In our first session on April 9, we focused on the stages of Preparation and Provocation. We watched and discussed the Opal videos and Michelle, Louesa and Sharon shared examples of these stages of Story Workshop from their Richmond classrooms. 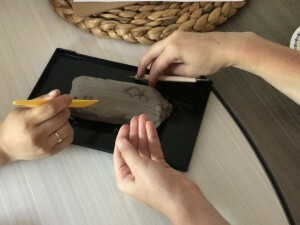 What do you notice about the materials the teachers are using? When you look around your own setting, what unexpected materials might you use in new ways? What do I want the children to learn? How can I support this learning? Story Preparation begins with our image of children. Preparation is about preparing the environment; setting up the space, creating an environment that supports children to tell their stories. Opal educators strive for environments that are playful, engaging, naturally motivating, with multiple opportunities for all children to enter into the work. At Opal, educators convert social-constructivist theory and inquiry into practice by offering provocations. 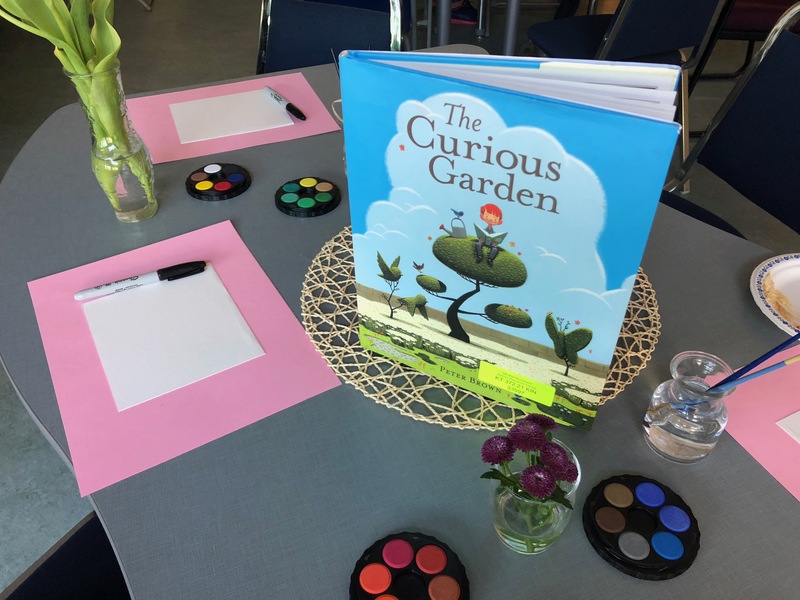 A Story Provocation is a question that is introduced to children to engage and support their interests and curiosity. Educators attending the series were each provided with the book Equity and Access Through Story Workshop. 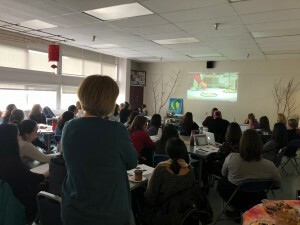 The videos and supporting text are available at no cost to Opal School Online Sustaining Members and at a small cost to non-members: You’ll find both here. 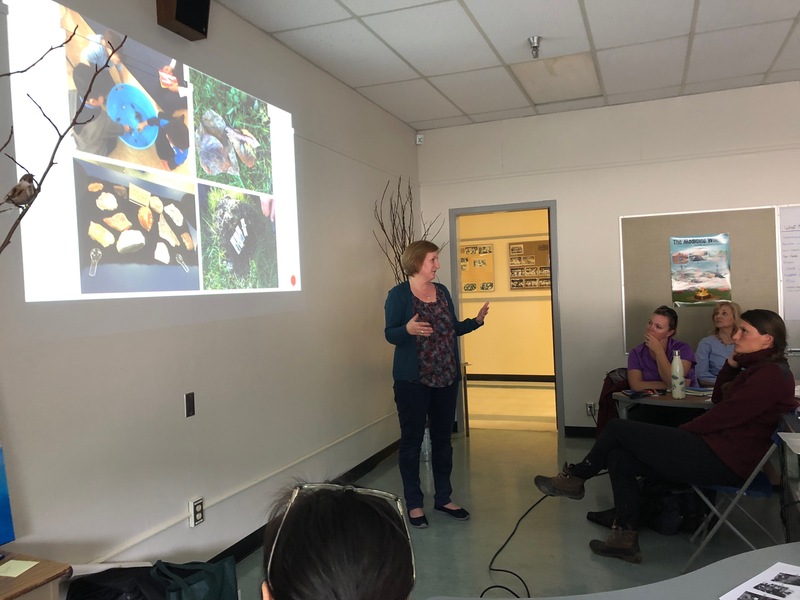 Educators were asked to make a commitment to something they would try, inspired by the first session, and to be prepared to share a reflection, documentation or an artifact at our next session. 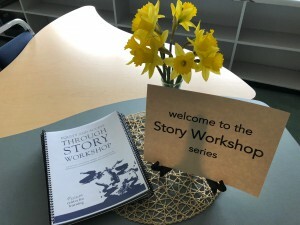 At the second session on April 30, we began by having teachers share what they had tried around Story Workshop with their students. 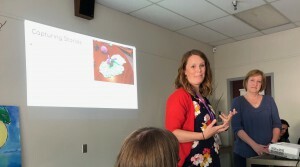 Lisa shared how Story Workshop can be part of a balanced literacy program. 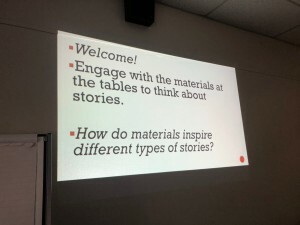 Marie talked about different ways to approach Story Workshop with different ages of students and that the process needs time and patience, not rushing towards recording/writing the stories. 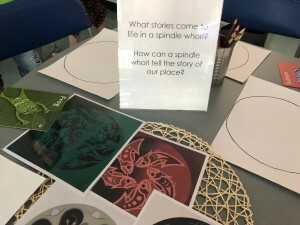 We also shared copies of this blog post from Opal for educators to read and reflect upon their own practice and how Story Workshop might be enacted in their classrooms and schools. 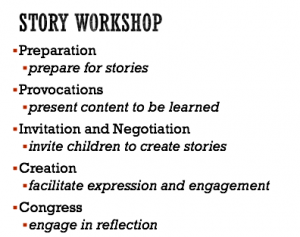 We focused on the next two stages of Story Workshop – invitation & negotiation and story creation. At Opal, the invitation and negotiation time focuses on students being metacognitive about their plans for each day. It is often just a few minutes with opportunities for educators to have a one-on-one check in with students. 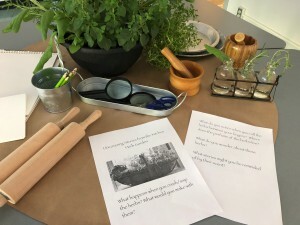 At Opal, educators invite children to explore the classroom and materials in search of their stories and this time can last about 45 minutes. 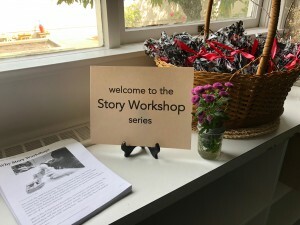 Story Creation is a time of looking for and finding stories from the child’s real or imaginary life. 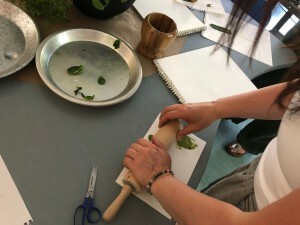 Children play with materials, talk to each other, and tell and write their stories. 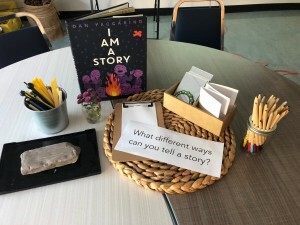 Again, teachers were asked to try something around story negotiation or creation and to consider an area of Story Workshop that they would like to go deeper with. At our final session on May 14, we invited teachers into The Nest and to think about how different materials might inspire different types of stories. Each educator was given the book I Am A Story by Dan Yaccarino (it comes in both English and French) as a provocation for adults and children to think about different ways that stories can be shared. 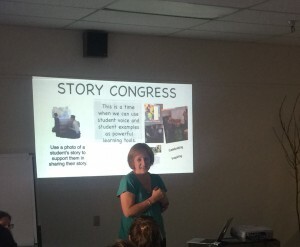 We focused on the importance of Story Congress as a way for educators and peers to give feedback on students’ stories. 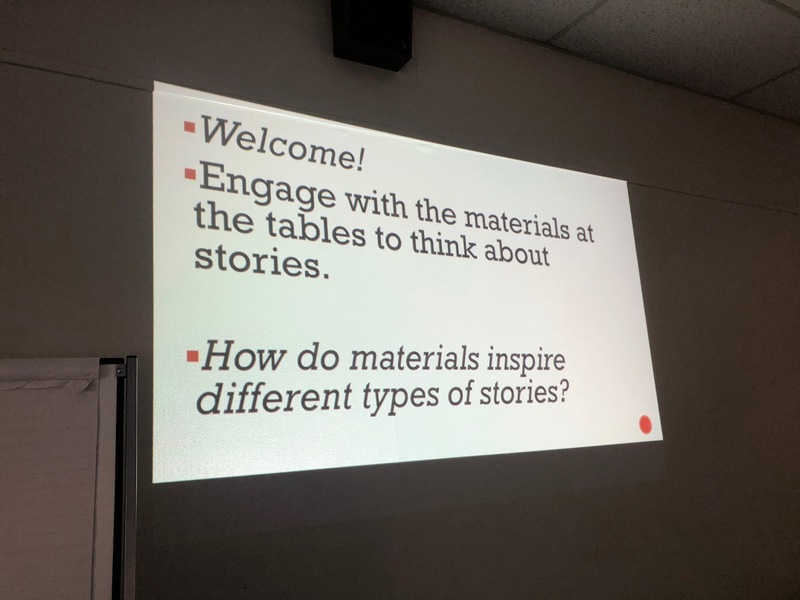 Sharon, Louesa and Michelle shared some of the structures they use in their classrooms for this stage of Story Workshop. 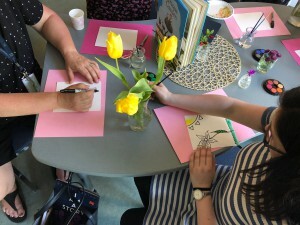 Opal School has online courses available to extend and deepen understanding of playful literacy and Story Workshop. More information can be found HERE. This was a very well attended series with a waiting list and we hope to be able to offer it again next year. Many teachers asked if we could provide opportunities to visit Richmond classrooms to see Story Workshop in action and we will put something in place for this for next year.